The population of the Tibetan Ethnic group is about six million and the majority live in Tibet, Qinghai, Sichuan, Gansu, and Yunnan. In the Tibetan areas of Southwest China, reforms were introduced between 1955 and 1957 in the farming areas. Feudal land ownership and all feudal privileges were abolished. In September 1965, the Tibet Autonomous Region was officially established. Twenty to forty thousand Tibetans live in Nepal and one hundred and twenty thousand live in India. More than three million people live in the Tibet Autonomous Region and 8%, about 248,000, are Han Chinese. The Tibet Autonomous Region is located on the Tibetan Plateau, the highest region on earth. In northern Tibet, elevations reach an average of over 4,572 meters (15,000 ft). Mount Everest is located on Tibet’s border with Nepal. Religious activities are protected by the government. Temples have been renovated and repaired. Buddhist statues, volumes of scriptures, ancient porcelain articles and other precious relics lost during the ten-year turmoil of the “Cultural Revolution” have been returned to the monasteries. Among them was a bronze statue of Sakyamuni brought to Tibet by Princess Brikuthi from Nepal in the 7th century. It is now kept in the Qoikang Monastery in Lhasa. An institute of Buddhist theology has been set up and preparations are being made to restore the scripture printing house. Tibet now has several thousand lamas, and the government sets no limit to the number of monks in the monasteries. In this video, the CNN reporter says the rent could be high in a new Tibetan village, but rural Chinese seldom pay rent or make mortgage payments. Twenty million tourists is more than six times the population of Tibet. “Improvement has also been seen in education. On October 7, 1950, the People’s Liberation Army (PLA) invaded Tibet. The PLA quickly surrounded the outnumbered Tibetan forces, and on October 19, the five thousand Tibetan troops surrendered. When you hear about China and Tibet, what are your first thoughts? I suspect most people in the United States and Europe only know about China’s alleged ‘brutal’ conquest of Tibet and think Tibetans lost their freedom. If that’s what they have been programed to think, they are wrong. If they think Tibet was never part of China before October 19, 1950, they are also wrong. The October 1912 issue of National Geographic Magazine describes how the Imperial government in Beijing managed a difficult Tibet, and letters Sir Robert Hart wrote in the 19th century also mention Tibet as part of China. China considered Tibet a vassal state or a tributary of the empire. In fact, starting in the 13th century, Yuan, Ming, and Qing Dynasty troops occupied Lhasa. There was a political governor and the Dali Lama, the religious leader of Tibet. Both were selected for their positions by the Emperor of China. When a Dali Lama died, the list of replacements was sent to the Emperor in Beijing and he selected the new Dali Lama. In 1890, a Convention between Great Britain and China was signed that offers more evidence that China’s emperor considered Tibet part of his realm and Great Britain agreed. Tibet is mentioned twenty-nine times in that treaty. Tibet has never had a Democracy and will probably never have one. The following quotes show you what Tibet was like before 1950. One error mentioned in this video is that “many” Tibetans live outside of Tibet. Only 1-percent of Tibetans live outside of Tibet and they represent the landowners and ruling class that fled when China returned to Tibet in 1950. The October 1912 National Geographic Magazine, page 979, reported, “Lamaism is the state religion of Tibet and its power in the Hermit Country is tremendous. Religion dominated every phase of life. … For instance, in a family of four sons, at least two, generally three, of them must be Lamas. Property and family prestige also naturally go with the Lamas to the monastery in which they are inmates. Under theocratic Lamaism, there was no freedom of religion, no freedom of speech, and there were no elections. It is a historical fact that a Tang Dynasty Emperor married his favorite daughter to Tibet’s king as a way to stop Tibetans from raiding into China, something that Tibetans had done for centuries. Tibetans were not always Buddhists. Buddhism was introduced to Tibet by a conquering Mongol king around the time of Kublai Khan’s Yuan Dynasty. Then a reluctant Tibet was ruled over by the Yuan (Mongol), Ming (Han) and Qing (Manchu) Dynasties from 1277 to 1913, when Great Britain convinced Tibet to break from China at the same time the Qing Dynasty was collapsing. Between 1913 and 1950, Tibet was ruled by a Dalai Lama and was an autocratic theocracy, not a democracy or a constitutional republic like the United States. In case you don’t know it, a theocracy is a system of government in which priests rule in the name of God or a god. In Tibet’s case, his holiness the Dalai Lama is considered a living “God-King”, and he isn’t a Christian, a Jew, or a Muslim. Then on December 7, 1941, Japan bombs Pearl Harbor and America enters the war. War supplies start to arrive in China through India and across the Himalayas to Chiang Kai-shek’s four-million-man army, but his government is corrupt, his troops are poorly fed, and morale is low. Chiang Kai-shek is accepted as an equal among the leaders of the world while Mao and the Chinese Communist Party are ignored, but Mao works hard to keep up the morale of his troops through political training. Ignorant Western leaders don’t understand what he is doing and criticize him. Joseph Stilwell, the commanding US general in China, is not happy with Chiang Kai-Shek because he is not fighting Japan. Chiang’s excuse it that he needs his troops to fight the Communists. In 1945, America invites representatives from Chiang’s government to take part in Japan’s surrender on the battleship Missouri and ignores the Communists. The American ambassador in China urges Mao to join Chiang in a unified government. To make this happen, the United States offers Mao protection and there are face-to-face negotiations between Mao and Chiang. Meanwhile, in secret, Chiang moves his troops to launch an assault against Mao’s troops in Manchuria. The United States urges Chiang to win the people by implementing Sun Yat-sen’s promised reforms. Instead, Chiang’s war against the Chinese Communists causes run-away inflation. Essential goods become too expensive. The people want peace, and Mao offers the peasants what they want if he wins, land. In 1948, Mao attacks. His army leaves the caves and captures Manchuria. When Chiang Kai-shek’s northern army surrenders, modern American weapons and equipment fall into Mao’s hands. Mao demands total surrender, but Chiang’s army boards ships for Taiwan taking China’s wealth and historical treasures with them. In fear, western businessmen and missionaries flee China. By 1967, Mao had ruled China for 18 years. Protected by America, Chiang Kai-Shek was still in Taiwan serving as president for life. He also had six-hundred thousand Kuomintang troops, and the island people lived under martial law. By the time Mao died in 1976, his failed Great Leap Forward and his brutal Cultural Revolution had almost destroyed China, but Deng Xiaoping becomes the leader of the Chinese Communist Party and changes course leading to the China of today. Since 1976, China is responsible for 90-percent of the reduction in global poverty. That means the rest of the world was only responsible for 10-percent of that reduction in poverty. When Mao became the leader of China in 1949, life expectancy was 35. When Deng took over in 1976, the average lifespan was 64.28 years. In 2017, life expectancy in China had increased to more than 76 years. The reason that China was not divided up between other countries was that on October 10, 1911, a riot took place that couldn’t be controlled. Five weeks later, the Imperial government collapsed. The Qing Dynasty vanished overnight and two-thousand years of Imperial tradition was gone. The Chinese called this time “Double Death”. The British and Americans could not control what replaced the Qing Dynasty. Students without weapons rioted in the streets. Warlords, who controlled armies, divided China and the chaos grew worse. Life became so cheap, that death was like a bloody circus. However, while the Chinese people suffered and starved, foreigners live in luxury and controlled China’s industries while being protected by the Western military. Chinese students demanded a revolt and Sun Yat-sen, known as the father of China’s republic, called on China to slay the dragon of Imperialism. He said China must start with nationalism, then democracy and finally socialism. The only country that offered help was Soviet Russia. But when Sun Yat-sen (1866 – 1925) died, his concept of a Chinese style republic died with him. Chiang Kae-Shek, the leader of the Nationalist Party quickly replaced Sun Yat-sen and in Shanghai, Chiang Kai-shek, now a dictator, struck without warning on April 12, 1927. His troops killed anyone suspected of being a Communist. In December, there was a Communist uprising in Canton. A battle raged for two days between the Communist and Nationalist troops ending in the executions of most of the Communists. Mao Zedong escaped and went into hiding. Four years later, Chiang Kai-shek’s Nationalist Kuomintang army was not ready when Japan invaded Manchuria in 1931. He didn’t have tanks, the artillery was old and out of date, and the Chinese were still learning about airplanes. Meanwhile, the Communist Party that Chiang thought he had destroyed were back, because Mao Zedong knew the peasants lived in horrible poverty, and he promised land reforms. By 1932, Mao had millions of supporters. Yes, when Mao ruled China, he was a brutal dictator, but Chiang Kai-shek was also a brutal dictator in Taiwan until he died in 1976, the same year Mao died. After Japan invades Manchuria, instead of fighting Japan, Chiang’s army bombed villages that Mao controlled killing tens of thousands of noncombatants. To survive, Mao retreated and took his ninety thousand troops on the famous thousand-mile Long March that many said was impossible. Successful, Mao calls for unity to fight Japan. One of Chiang’s generals, Zhang Xueliang, forces him to sit down with the Communists where Chiang Kai-shek agrees to fight Japan. As soon as Chiang returns to his capital, he breaks the agreement and throws Zhang in prison. Mao’s troops in the hills of Yunnan grow their own food. His army, dressed in shabby clothing wearing straw sandals, doesn’t look like a fighting force. Mao says the people are the sea and guerrillas are like fish that swim in the sea. Within a year, Mao’s army grows to 200,000. Meanwhile, Chiang Kai-shek’s army loses battles and cities to the Japanese. To continue fighting, his government and army moves to the mountain city of Chongqing in Sichuan province. In 1939, the Japanese start bombing Chongqing nonstop. When asked about the Japanese threat, Chiang says that the Japanese are a disease of the skin, but the communists are a disease of the heart. The Encyclopedia Britannica reports that the Opium trade with China was developed in the 18th and 19th centuries. Western countries, mostly Great Britain, exported opium grown in India and sold it to China. When China attempted to end the epidemic caused by opium in 1839, England and France invaded China and ended up forcing opium and Christianity on China. There were two Opium Wars. The second one ended in 1860. What many people don’t know is that five American families made their great fortunes from the dirty money that came from that opium trade. The Astor Family: America’s first multimillionaire, John Jacobs Astor, joined the opium smuggling trade in 1816 when his American Fur Company bought 10 tons of Turkish opium and smuggled it into Canton. The Forbes Family: John Murray Forbes and Robert Bennet Forbes worked for Perkins & Co. in its China trade. It was the brothers’ activities in the 1830s and 1840s in China that led to the Forbes family’s accumulated wealth. The Russel Family: Samuel Wadsworth Russell started as an orphaned apprentice to a maritime trade merchant, made his initial investment capital on trading commissions while working for other traders, and eventually founded Russell and Co., the most powerful American merchant house in China for most of the second half of the 19th Century. The Delano Family: Warren Delano, Jr., the grandfather of Franklin Delano Roosevelt, was chief of operations for Russell & Co., another Boston trading firm which did big business in the China opium trade in Canton. He first went to China at age 24 and spent a decade dealing dope on the Pearl River before returning to New York as a newly wealthy and very eligible bachelor. The Perkins Family: Thomas Handasyd Perkins, a wealthy merchant, and Boston Brahmin par excellence made his bones as a young man trading slaves in Haiti, then peddled furs to China from the American Northwest before amassing a huge fortune smuggling Turkish opium into China. After the Opium Wars, the British and Americans ended up controlling the industries in Shanghai, Nanking, Hankow, and Chunking. But Backhouse’s journalistic fraud served as the foundation for most history texts still used today that continue to slander Tzu Hsi. To do Tzu Hsi justice and to discover the truth, one should read Seagrave’s Dragon Lady, The Life and Legend of the Last Empress of China. To learn who the real woman was that ruled China pay attention to what Robert Hart wrote about Hzu Hsi in his letters and journals. Robert Hart arrived in China from Ireland in 1854 to learn the language as an interpreter for the British consulate in Ningpo. In 1859, almost five years later, Hart quit his job with the British and went to work for the Emperor of China as an employee. He returned to England in 1908. 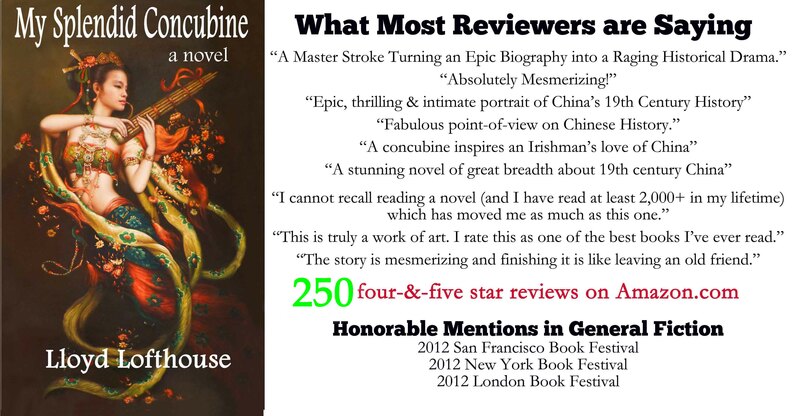 When I was researching Robert Hart’s life while working on my historical fiction novel My Splendid Concubine, I learned that Hart became Inspector General of Chinese Maritime Customs and worked closely with the Imperial ministers and Manchu princes. Before returning to England after living in China for fifty-four years, Hart met with the Dowager Empress in a private audience inside the Forbidden City. Hart referred to Tzu Hsi as “the Buddha” and later “the old Buddha” since she was a devout Buddhist and it is obvious that he thought of her with affection and admiration. In fact, Hart, who is considered the Godfather of China’s modernization, at no time indicated in anything he wrote that Tzu Hsi was conspiratorial, sinister or manipulative. However, he did indicate that she was strong-willed and hot-tempered, clever and had ability. Tzu Hsi died in 1908 a few weeks after Robert Hart left China and returned to England to live out his final few years. The Qing Dynasty collapsed in 1911, the same year Robert Hart died. Empress Dowager Tzu Hsi ruled the Qing Dynasty as a coregent after her husband, the Xianfeng Emperor died in 1861, and her son, The Tongzhi Emperor (1856 – 1875), was too young at age five to rule China. Many current history texts continue to slander the Dowager Empress Tzu Hsi (1835 – 1908) without much evidence as one of history’s most monstrous women, an alleged ruthless Manchu concubine who seduced and murdered her way to the throne in 1861 to rule China through prevision, corruption and intrigue. This is how many still think of Tzu Hsi. In addition, she was accused of murdering her son, and then years later her nephew, who died the day before she did. Instead, her son died of syphilis because he preferred prostitutes to the hundreds of virgin concubines that belonged to him. Rumors claimed that Tzu Hsi had her nephew poisoned, but Yuan Shikai may have had him poisoned so he could become the next emperor. There is no evidence to support either allegation. How did Tzu Hsi earn such a bad reputation? It seems that she earned this reputation similar to how today’s China has been smeared in much of the Western media. 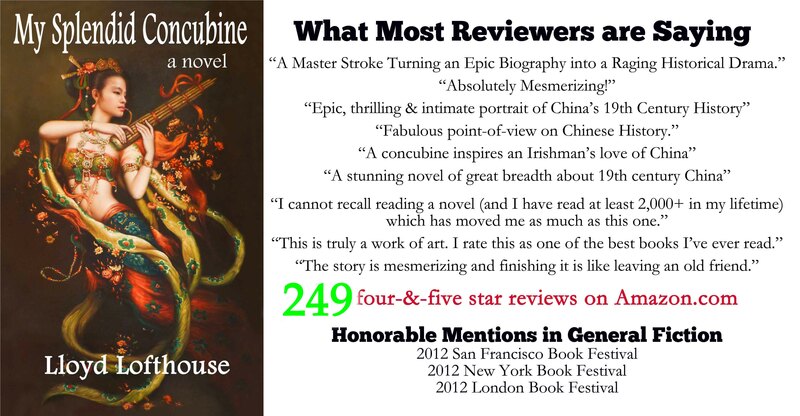 Thanks to a liar and fraud by the name of Edmund Backhouse, who was a reporter for The London Times and his bestselling book “China under the Empress Dowagers”, Tzu Hsi’s fate to be labeled a monster and murderer was guaranteed until 1976 when Backhouse’s fraud and lies were revealed. You are currently browsing the archives for the history category.